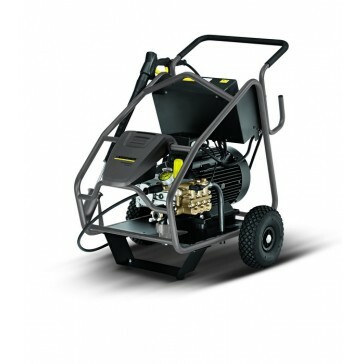 This product uses up to 350 bar of pressure to remove even the most stubborn dirt. The robust cage design provides all-round protection and enables safe crane loading. With sack-trolley principle for easy transportation. Up to 350 bar working pressure cleans even stubborn dirt away. The robust cage design protects the entire machine and makes it possible to load it safely by crane. The cart principle for simple transport and numerous other details make these machine the first choice for professional use. Accessories and tools are stored in a protected box. The pushcart principle makes it possible to eassily transport the machine even to areas that are difficult to access. 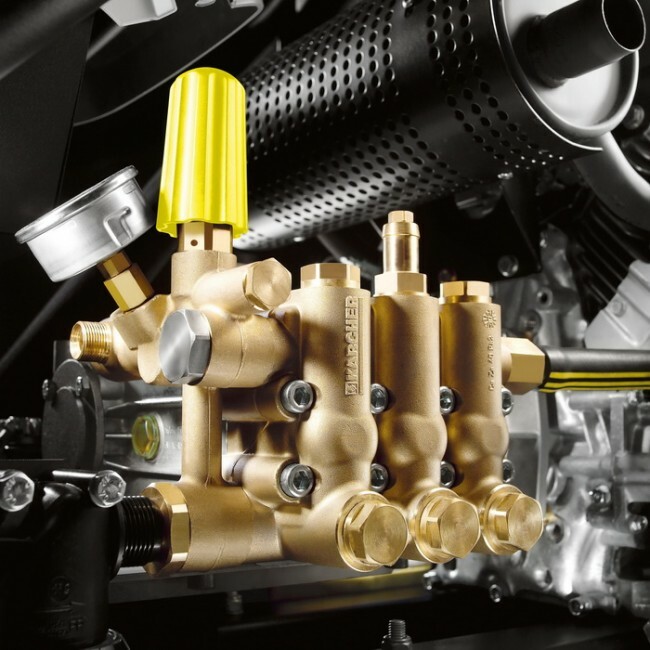 Kärchers high-performance crankshaft pump ensures optimal pressure. The optional dry-run cut-out protects the machine as well as the user. 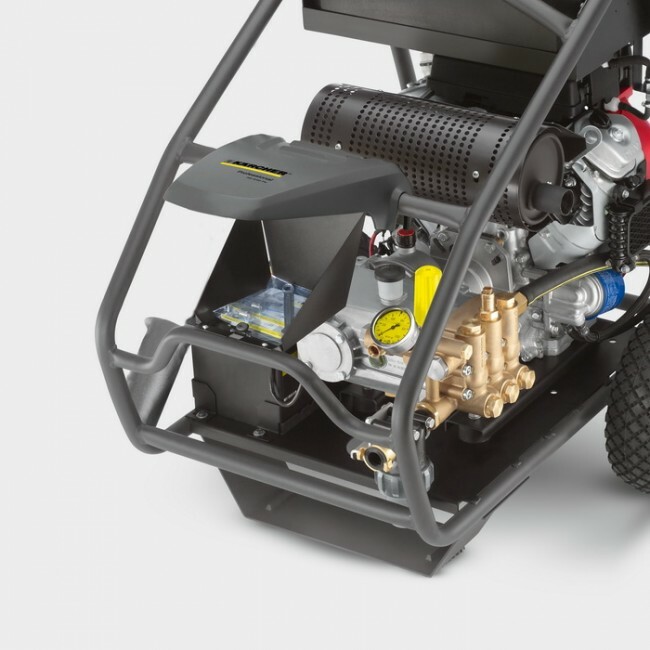 Reliable and durable Kärcher high-performance crankshaft pump ensures optimal pressure. Accessories and tools are stored in a protected compartment. This means that everything is always in its place.